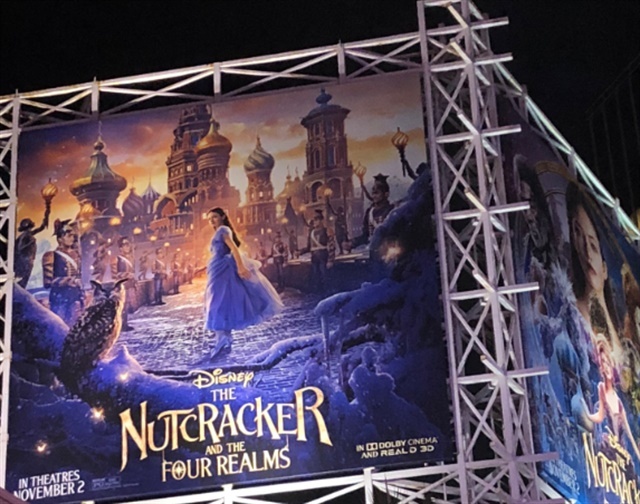 OPI celebrated its partnership with Disney's Nutcracker and the Four Realms by inviting me to attend the film premiere and party. 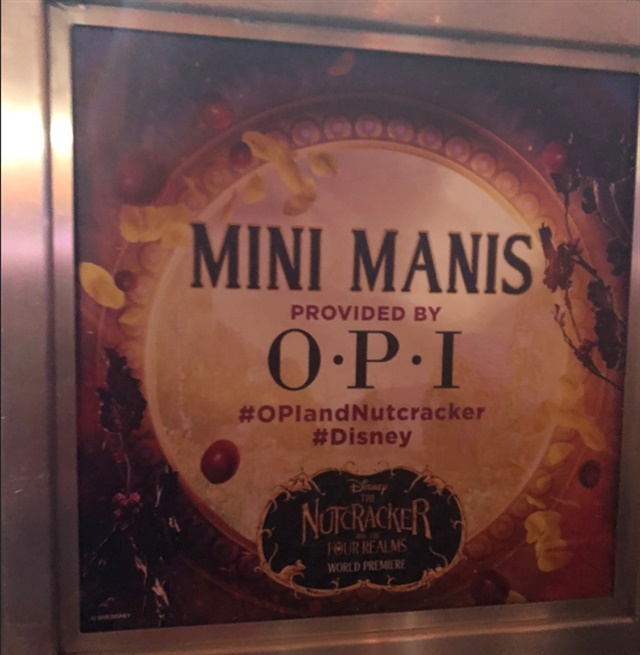 I was also able to take over OPI's pro Instagram (@opi_professionals) to broadcast live updates from the event. 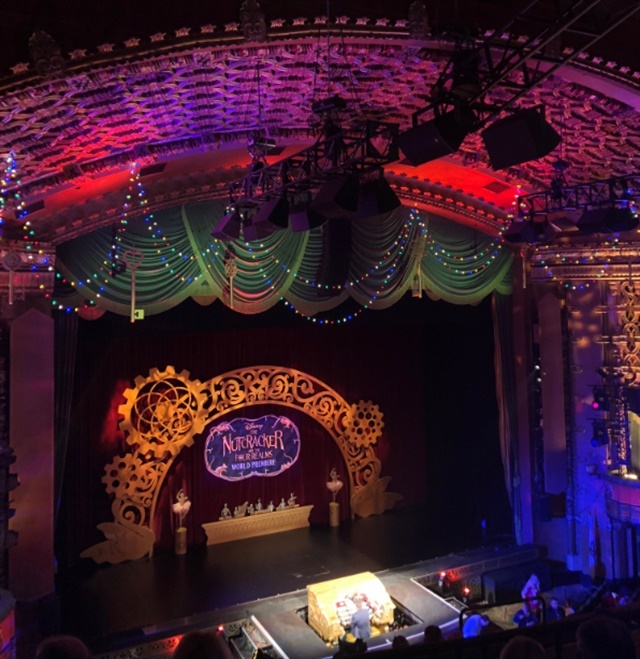 The premiere was held at the El Capitan Theatre in Hollywood. Before watching the film, a starry party took place in the Dolby ballroom. 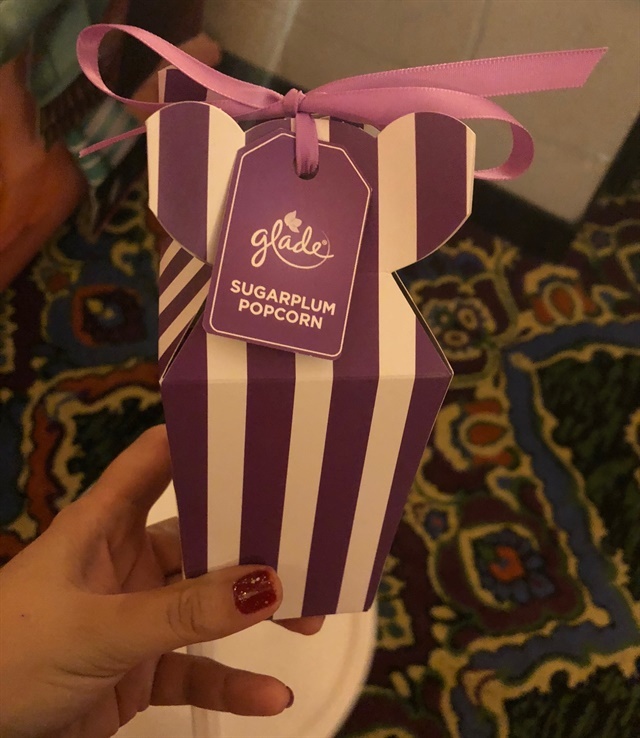 The ballroom resembled a winter wonderland with DIY snowglobes, a candy bar, jugglers on stilts, desserts, a mani table, and hairstyling. 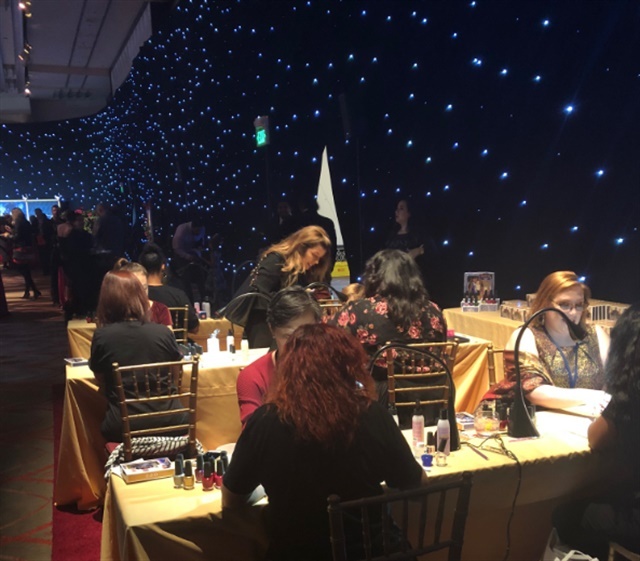 I for one was relieved to get a mini mani from OPI's Adela Munoz (@artisticfontana). 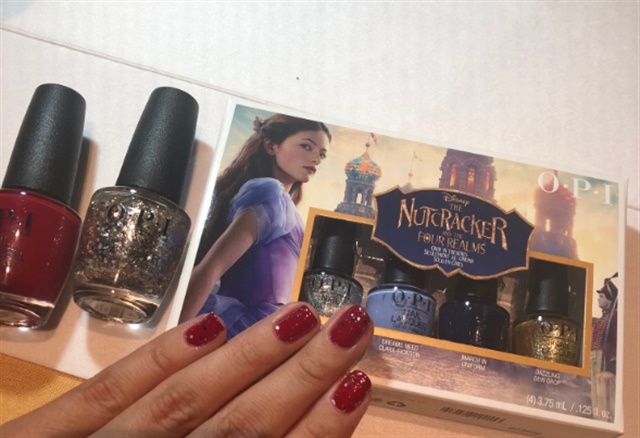 She gave me a glittery manicure using two lacquers from OPI's holiday Nutcracker-themed collection. To learn more about the collection, check out www.opi.com, @opi_professionals, and see nail art videos here.